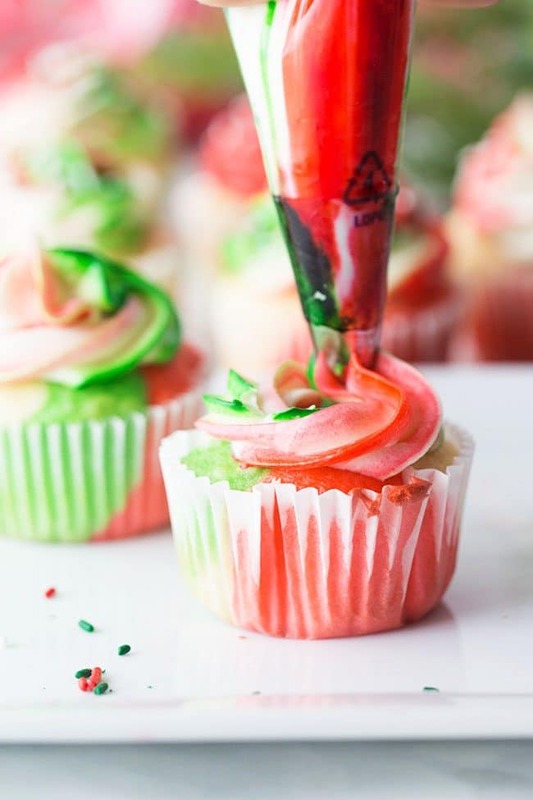 Very Merry Tricolor Christmas Cupcakes in red, green and white have a hint of peppermint! See how easy it is to turn plain cupcakes into colorful marble cupcakes and frosting, just like fancy café-style confections. 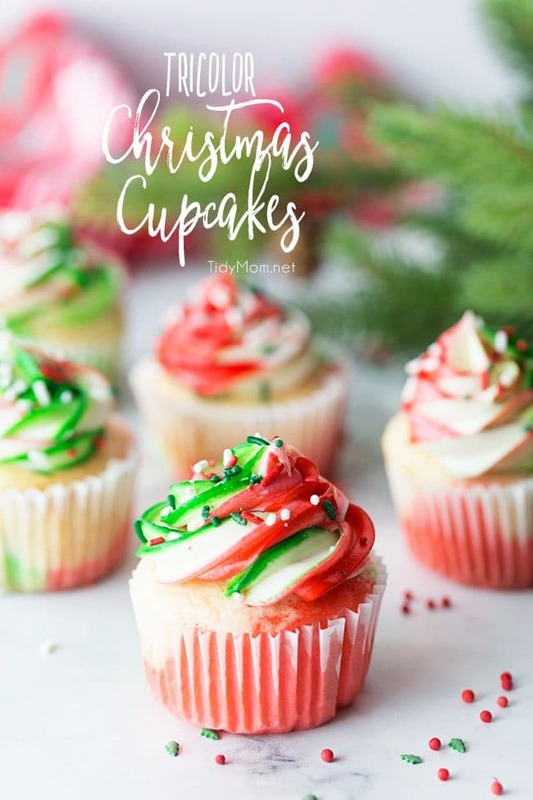 I love a festive cupcake and couldn’t resist recreating my Patriotic Red White and Blue Cupcakes with Christmas colors! It was a no-brainer to create these Tricolor Christmas Cupcakes with red, white, and green! I also added a hint of peppermint to bring in the holiday season. 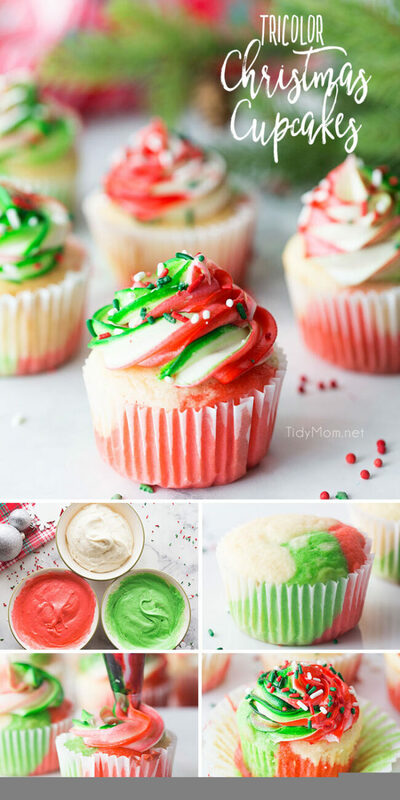 LET’S MAKE TRICOLOR CHRISTMAS CUPCAKES! Divide the white cake batter into 3 bowls. Spoon a little of each color into your cupcake liners, filling about 2/3 full. Fit a pastry/decorating bag a 1M tip. Then, using a new small paintbrush, line the inside of the bag with 2 stripes of each, red and green gel color. Fill the bag with white frosting and pipe frosting onto cupcakes. Step back and admire how fun and festive they look! 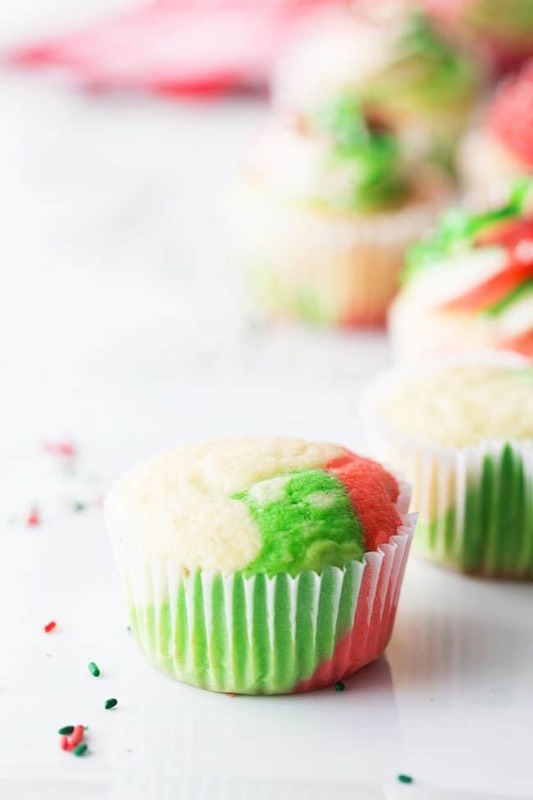 CHECK OUT HOW EASY THESE TRICOLOR CHRISTMAS CUPCAKES ARE TO MAKE! WATCH THE VIDEO! 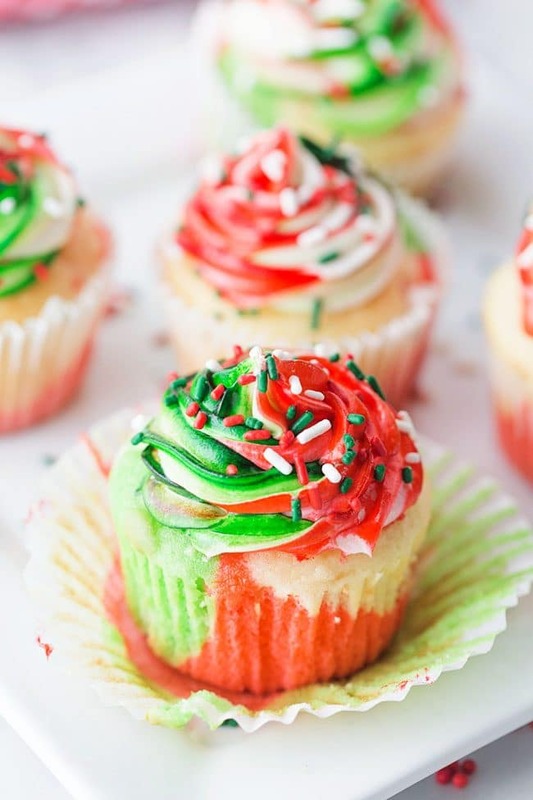 LIKE THESE TRICOLOR CHRISTMAS CUPCAKES? PIN IT! 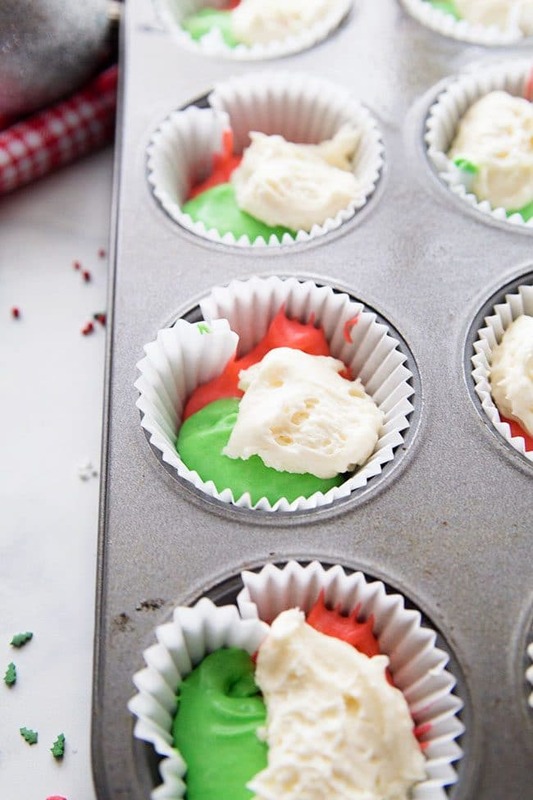 FOR TRICOLOR CUPCAKES:Heat oven to 350° and line muffin pan with cupcake liners. 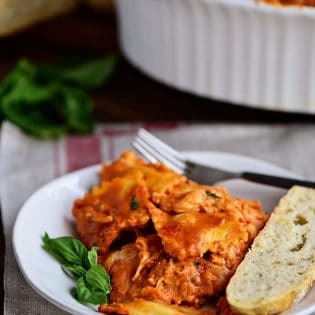 In a large bowl, combine cake mix, eggs, butter, water and extracts using an electric mixer on low for one minute, then mix on high for one minute. Divide batter evenly into 3 bowls. 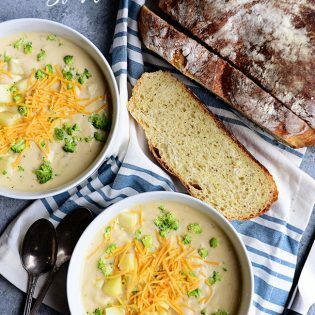 Set one bowl aside. Add red gel coloring to one bowl until you reach the desired color. Mix really well with spoon or spatula scraping the bottom of the bowl until you no longer see any white batter. Repeat with the second bowl of batter using the green food coloring gel. Using a spoon, add a spoonful of each color of batter into cupcake liners, filling each two thirds full. Bake for 20 minutes and cool completely before frosting. 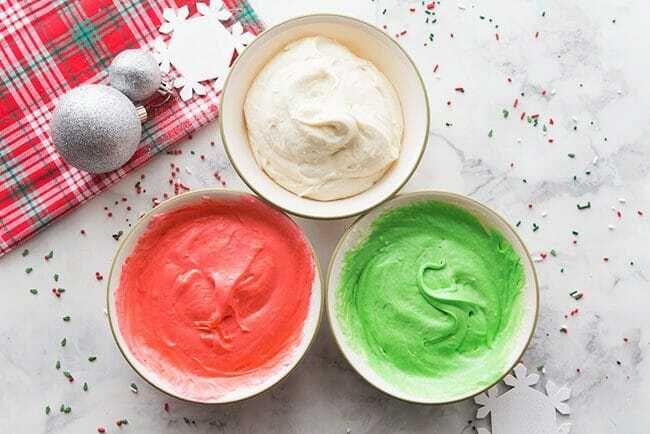 FOR TRICOLOR FROSTING:Place butter in a large mixing bowl and beat slightly. Add cream cheese and blend until well combined, about 30-60 seconds. 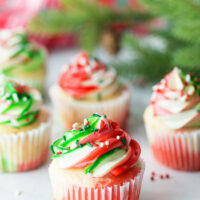 TO DECORATE TRICOLOR CUPCAKES:Place a 1M tip in a 16-inch pastry bag. 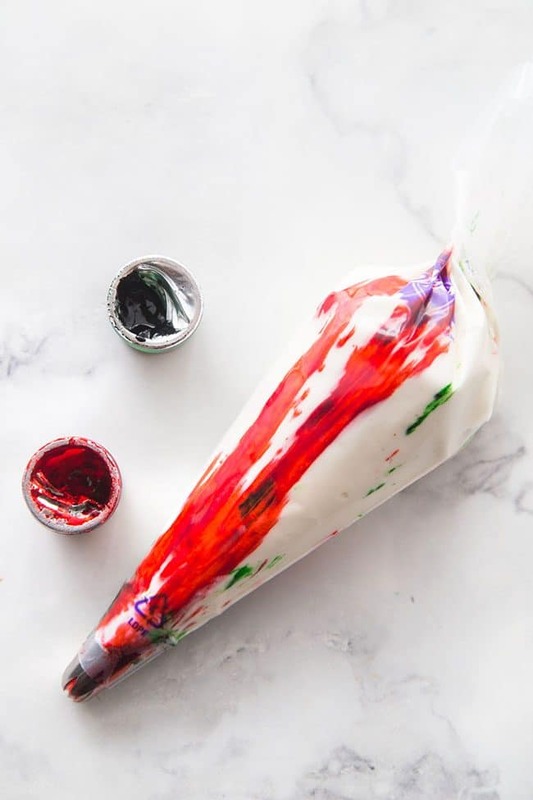 Using a small paintbrush, line the inside of the pastry/decorating bag with 2 stripes of each, red and green gel color. *if you only want a hint of peppermint, just add 1 teaspoon of peppermint extract to the white batter.